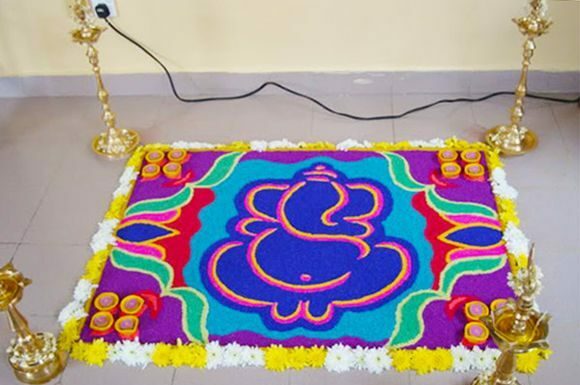 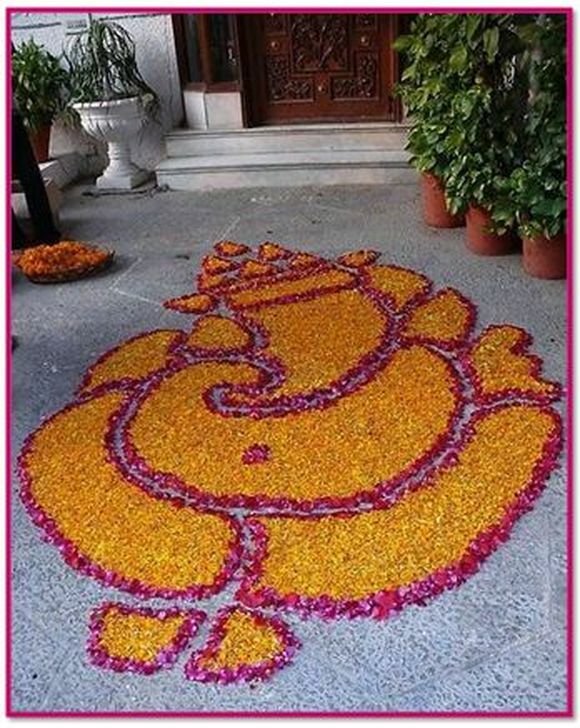 Ganpati Rangoli designs & patterns are widely used in western states of India. 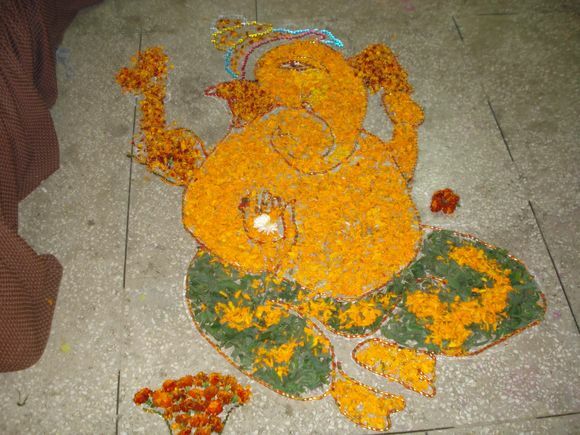 It is said that people invite Lord Ganesha to their homes for 10 days during the Ganpati festival. 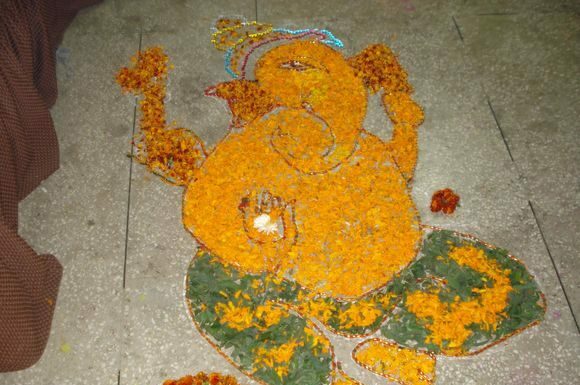 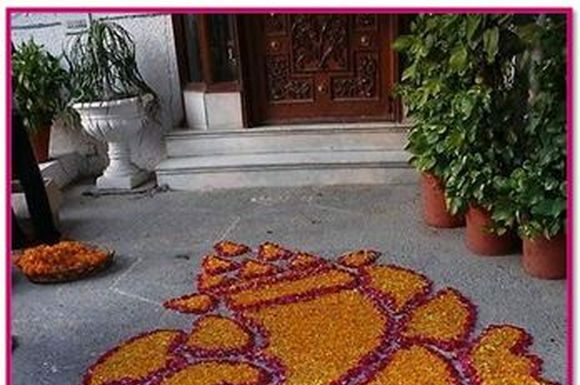 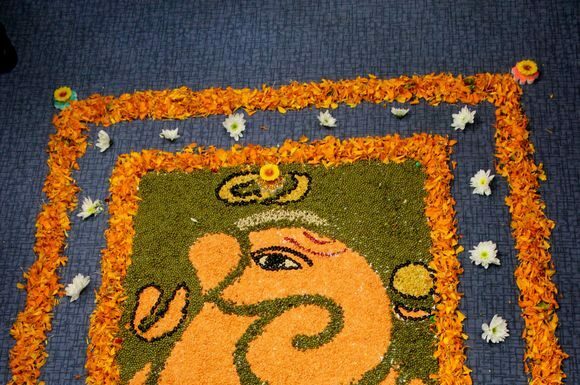 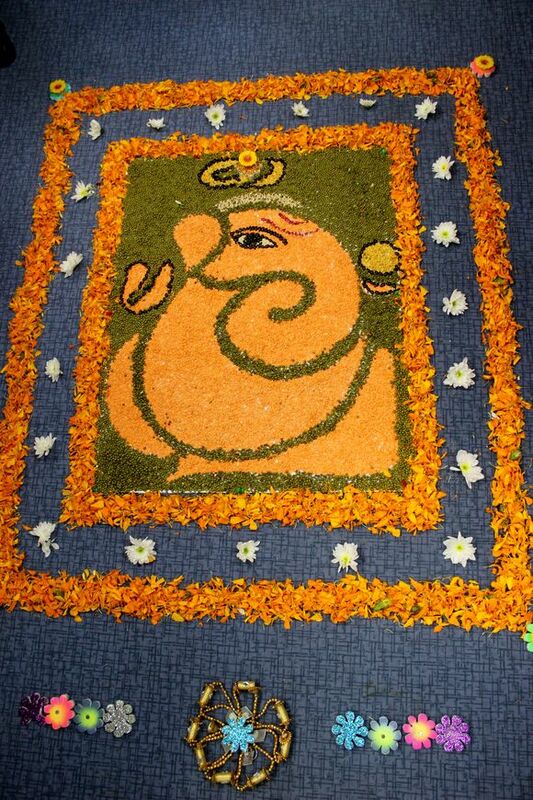 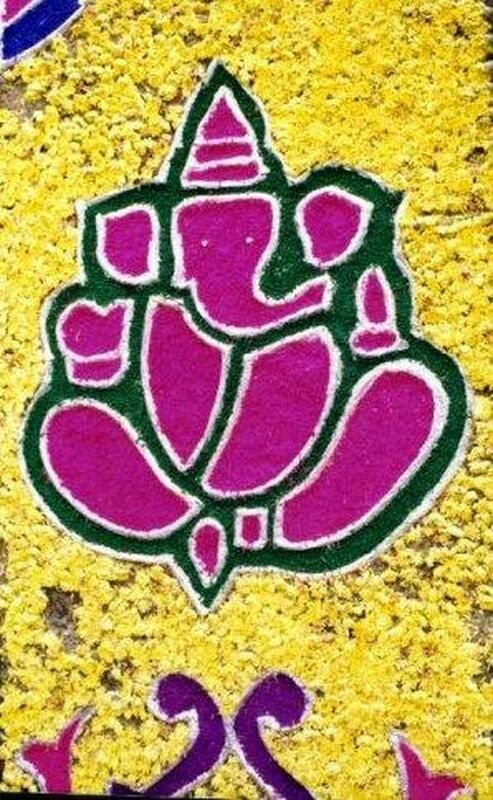 To honor and show respect for Lord Ganesha women create beautiful rangoli desings and sometimes with flowers. 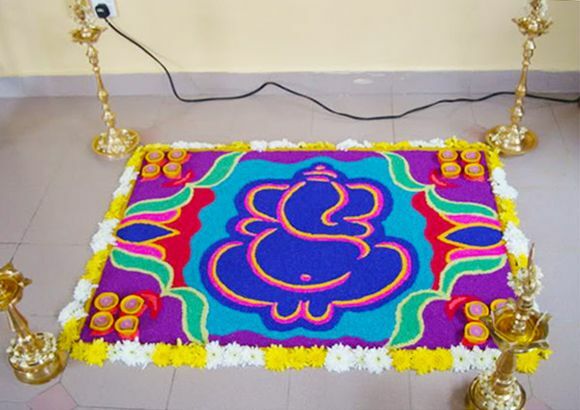 If you are looking for some awesome Ganapati flower rangoli designs then you must try these out. 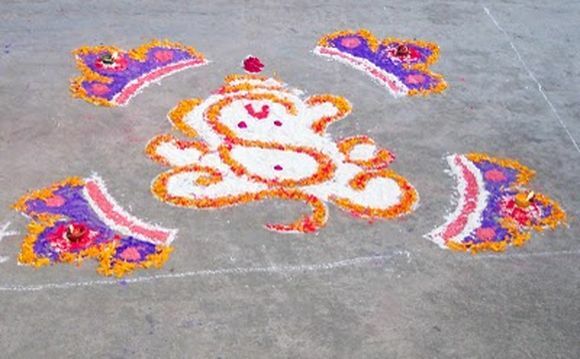 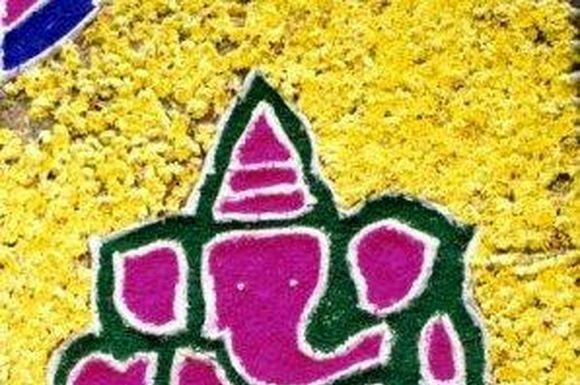 So, which amongst those Ganpati rangoli designs with flower did you like? 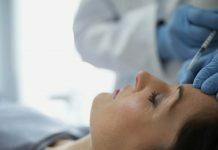 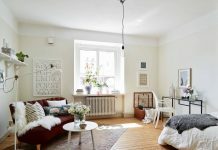 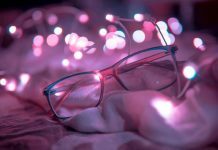 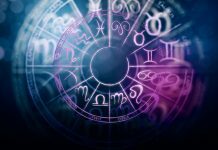 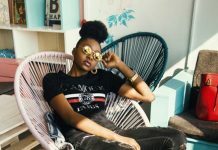 Please leave us a comment and let us know.